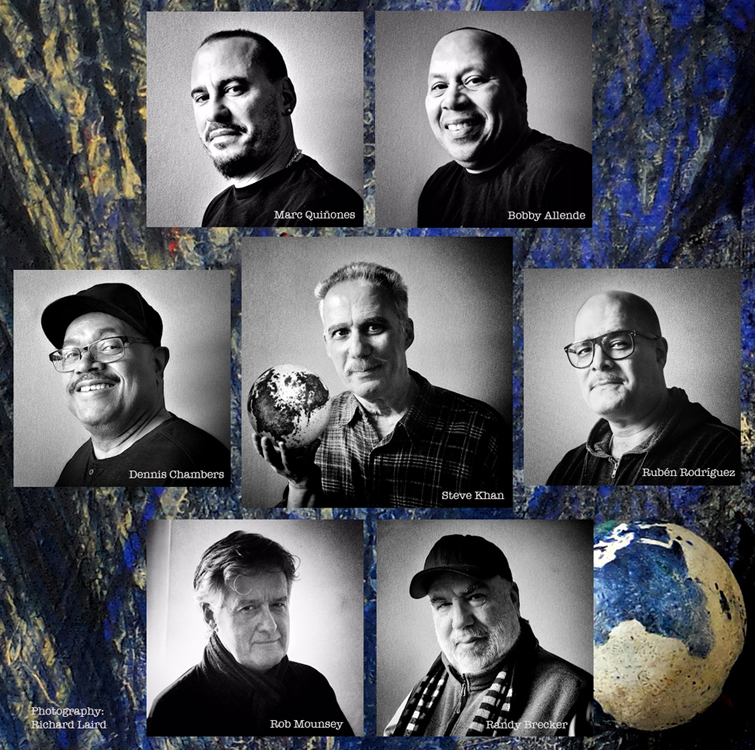 Since I first became aware of the artwork of Michel Granger, it was obvious that he was conveying a message about the state of our planet earth, and the manner in which we all treat one another as its inhabitants. Sometimes the images were uplifting, sometimes sad, sometimes angry, but always with a purpose. And to me, that purpose was simply to make those viewing the images THINK about what we were doing on a daily basis as guardians of our one and only planet. When I began this recent series of albums, beginning with "PARTING SHOT"(2011); "SUBTEXT"(2014); "BACKLOG"(2016), I knew that Granger images were going to grace each CD cover, and so they have. Now with "PATCHWORK" midway to its completion, and hopefully a release date during 2019, the role of Michel's work has become a bit larger. 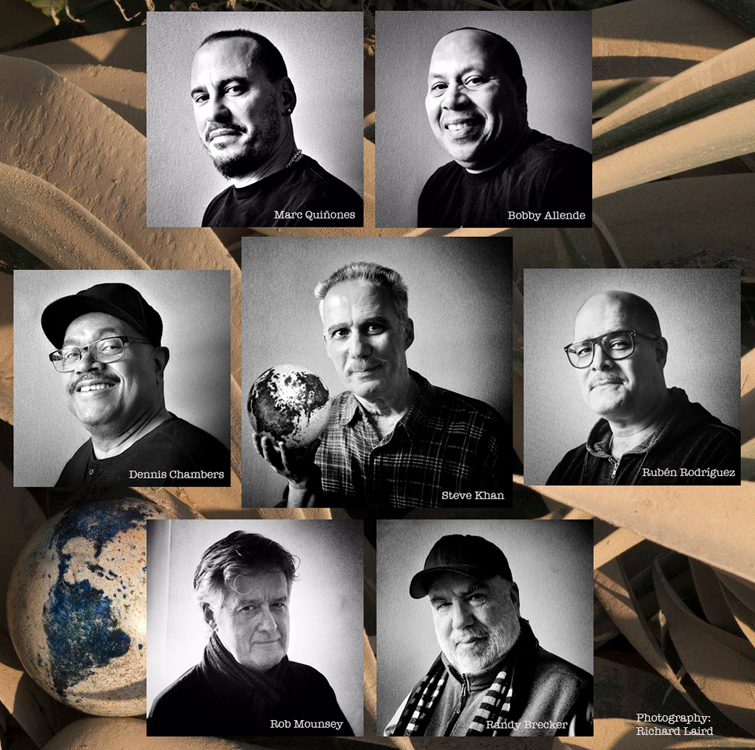 Earlier this year, in 2019, Michel went on a trip to India where he continued his wonderful "Croquis Photographique" series with each photo having his little "globe" situated in unique positions. But I was most moved by seeing the touching photos of India's beautiful school children holding Granger's globe, and sending their message to the world that, "We too care about our planet!" 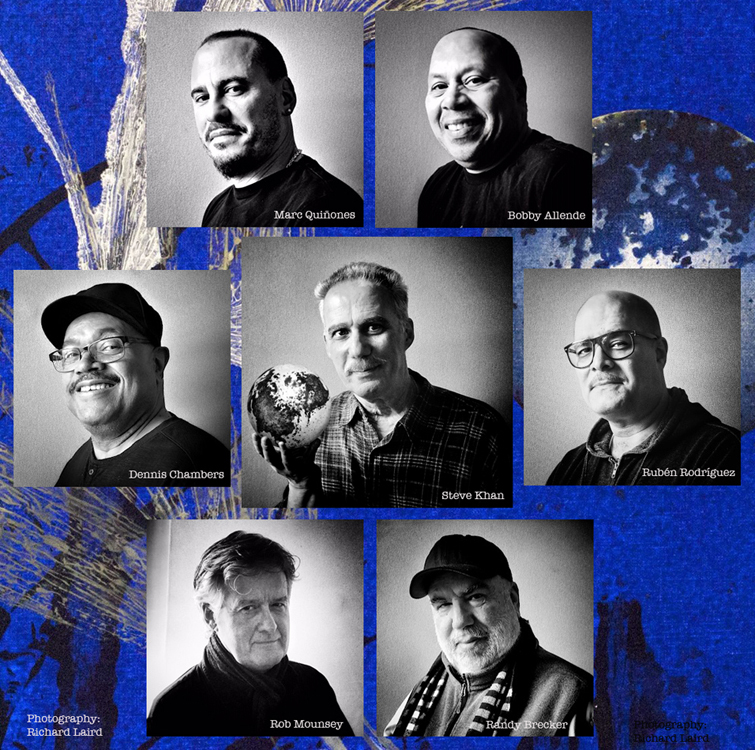 And so, as a part of the recording, I wanted to have Michel's little "globe" here for a group photo with all of the wonderful musicians, and also an individual shot of me holding it. In part, the results are seen here on this page. 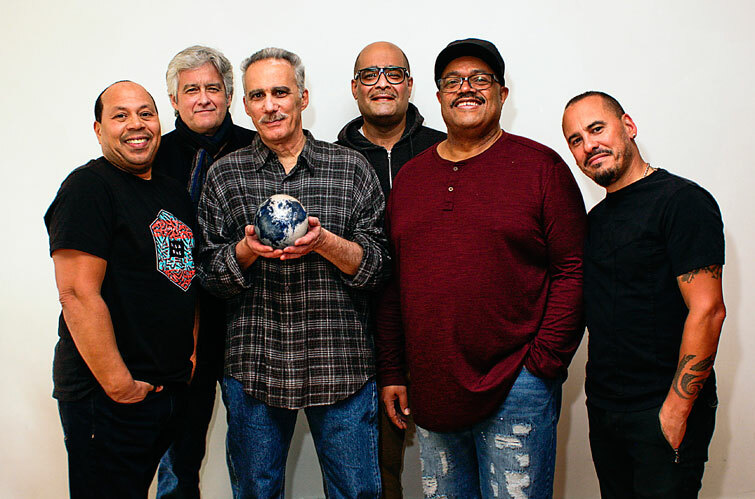 In the group photo just below, pictured from left to right are: Bobby Allende-Rob Mounsey-Steve-Rubén Rodríguez-Dennis Chambers-Marc Quiñones. As always, the photos were taken by the great, Richard Laird and, my dear friend and Grammy-winning graphic designer, Janet Perr will be in charge of the CD package. As a team, we've been working at this together since 2005 and "THE GREEN FIELD." How fortunate I am to be surrounded by such remarkable and talented people. I am going to hope that everyone enjoys seeing the results.